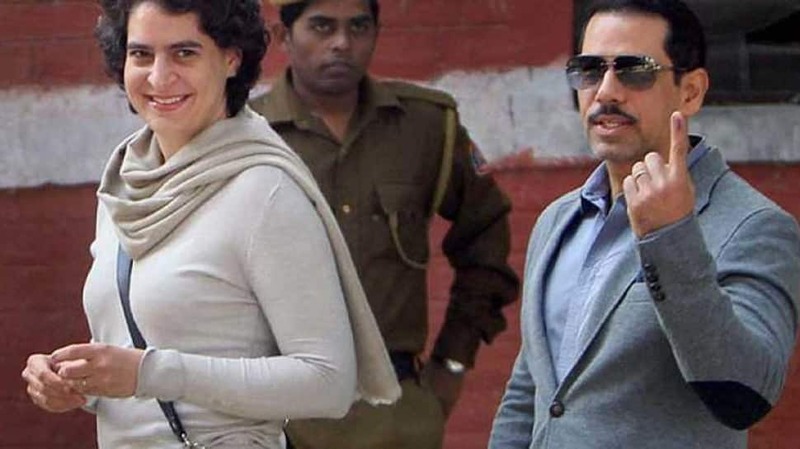 NEW DELHI: As Congress general secretary Priyanka Gandhi Vadra began her political journey with a mega roadshow in Lucknow, her husband Robert Vadra extended his support in an emotional post on Facebook. Calling her the ‘perfect wife’, he appealed to the people to keep her safe in a ‘vindictive and vicious political atmosphere’. “My Best wishes to you P, on your new journey of working in Uttar Pradesh and serving the people of India. You have been my best friend, a perfect wife and the best mother to our Children. There is a very Vindictive and vicious political atmosphere… But I know, it’s her duty to serve the people and Now we hand her to the people of India. Please keep her safe,” he posted on his Facebook page. Not just Robert, Priyanka too has on several occasions publicly supported her husband in the allegations of money laundering to purchase assets abroad. A probe by the Enforcement Directorate is underway to ascertain the charges against him. He was questioned for three consecutive days last week in connection with the case. He also reached Jaipur on Tuesday to join the investigations into an alleged land scam in the Rajasthan’s border town of Bikaner. Married in 1997, the couple has two children.